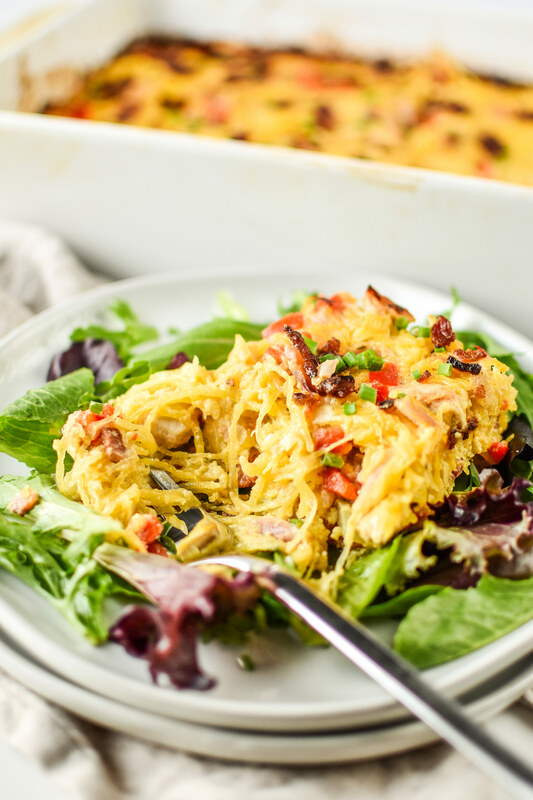 Quick shout out to the blogger who taught me how to use spaghetti squash as a casserole base several years ago – Juli Bauer at PaleOMG.com – from her Buffalo Chicken Casserole recipe. 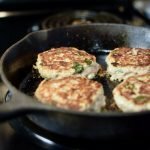 So delicious, I actually made it last week because it’s Whole30! 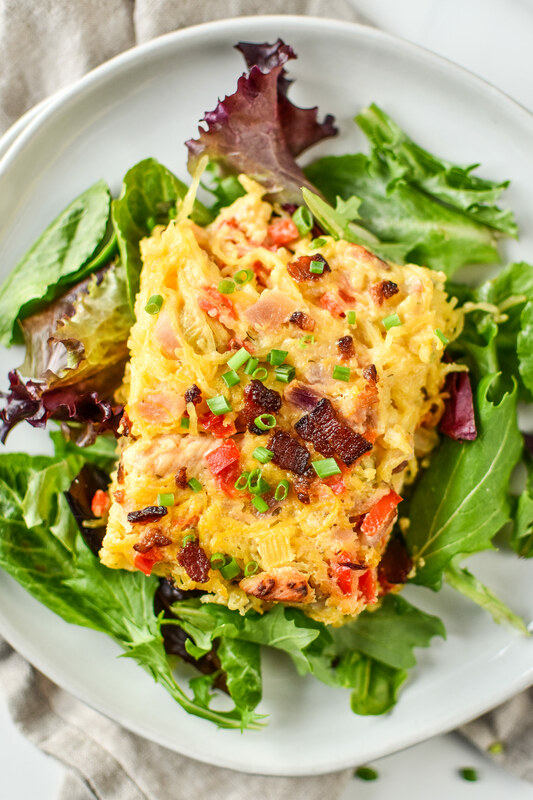 What makes this casserole Whole30 approved? We’re smack in the middle of our very first round of Whole30, and by now I’m feeling pretty good. We’ve had some excellent dinners, and sugar cravings have reduced. I still miss certain foods (beans, CHEESE, bread/all carbs) but they aren’t really cravings, if that makes any sense. 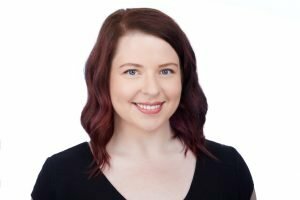 If you’re interesting in reading more about the Whole30 program, I would encourage you to read information directly from the Whole30 website (https://whole30.com/) and review their program rules for specifics. That being said, if you don’t follow the Whole30 program, this casserole is still a very valid dinner option. If you don’t care about dairy or soy free Ranch dressing, use whatever kind you want. Add cheese if you want! 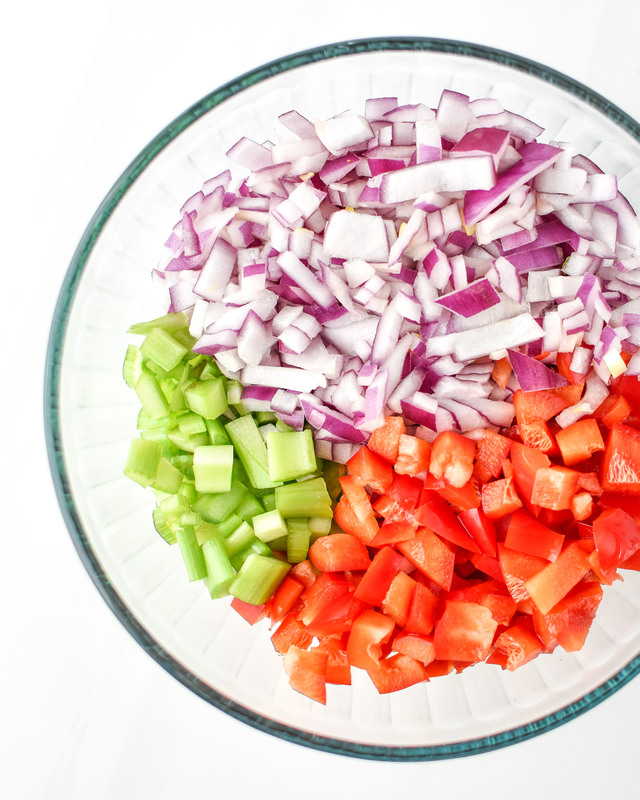 The base of the casserole is Whole30, but it doesn’t have to stay that way if you don’t want it to. 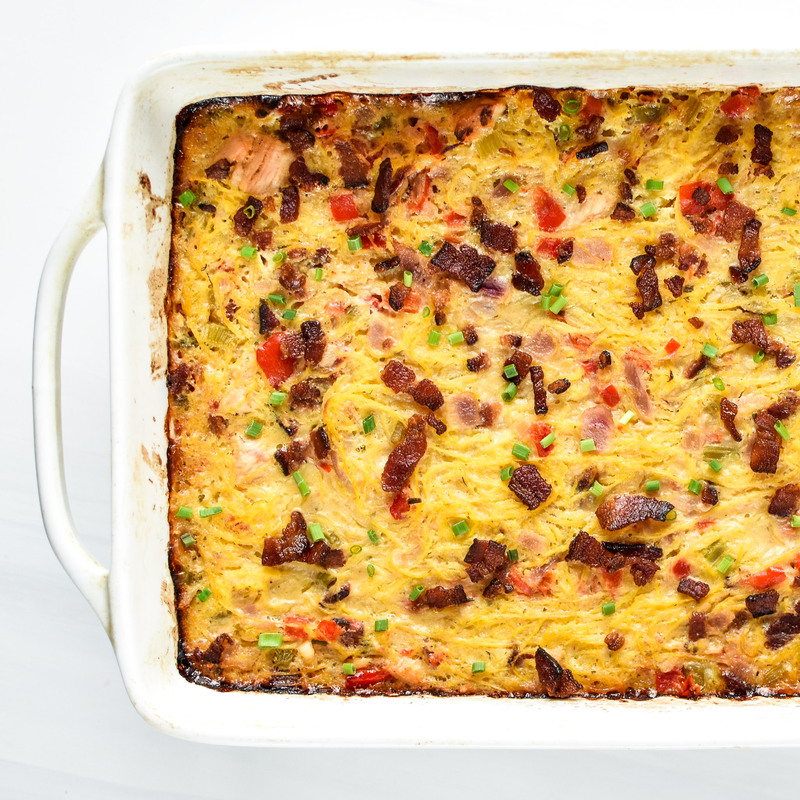 How do you make spaghetti squash casseroles? Super Simplified Version: Cook the spaghetti squash, cook the other ingredients (meat/veggies), mix everything together with some sauce, and bake! Longer Version: Start off by cooking up your spaghetti any way you want. 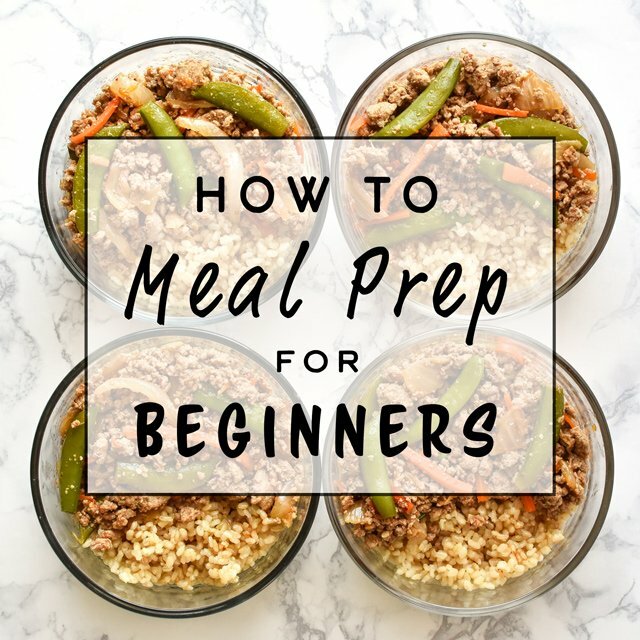 You can do oven (try 40-45 minutes @ 400F) or Instant Pot (7-8 minutes on Steam). When it’s done, let it cool and then remove all the squash from the skin into the big bowl using a fork. This can even be done a day ahead of time! While the squash is cooking, cook up your meats and vegetables on the stovetop, preferably in a Dutch oven or deep skillet. For this recipe, I cooked bacon bits first (9 minutes), then my mixture of cubed chicken breast with veggies (12 minutes). Finally, mix all this cooked goodness together in a huge bowl. Add 2-3 eggs depending on the recipe, and around 1 cup of sauce. 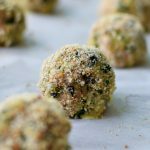 For this recipe, I used 3 eggs and 1 cup Primal Kitchen Ranch dressing. Place the mixture in a 9×13 casserole dish and bake it for 45-55 minutes. 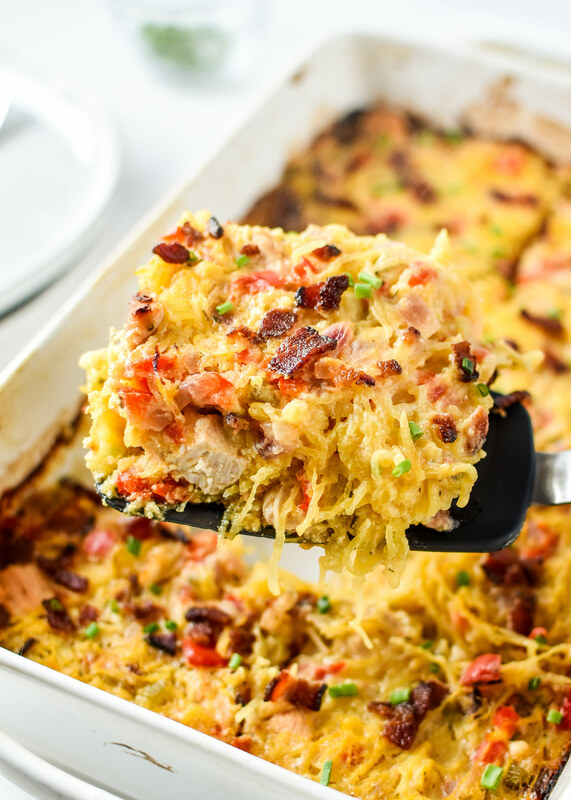 There’s your cookie cutter recipe for spaghetti squash casseroles! How do I cook the spaghetti squash? Roast in the oven: This is the most common method for cooking up a spaghetti squash. You can cut it widthwise into rings for longer strands (like this spaghetti squash spaghetti bake recipe), or you can cut lengthwise, and turn the halves upside down for baking. Generally, it takes around 35-45 minutes at 400F to roast spaghetti squash in the oven. Steam in the Instant Pot: This method of cooking spaghetti squash is considerably faster than oven roasting. Simply cut your spaghetti squash in half widthwise, fit it into your Instant Pot on the trivet with one cup of water, and then select Steam on high pressure for 7-8 minutes. What kind of Ranch dressing do you use? 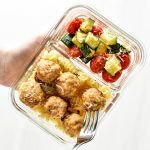 To keep this casserole Whole30 compliant, I use Primal Kitchens Avocado Oil Based Ranch Dressing (affiliate link!). 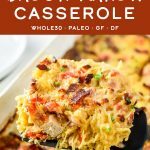 If you don’t care about staying Whole30 compliant, I would encourage you to try out this casserole with your favorite Ranch dressing, as Primal Kitchens can be expensive if you don’t really need to use it. The other option is making your own compliant Ranch dressing at home. While I do make my own mayonnaise, I haven’t gotten around to trying my own Ranch dressing yet. 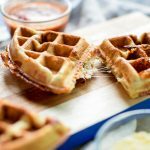 When I do, it will be this immersion blender Ranch recipe from 40 Aprons! How long will the leftovers last? Leftovers of this dish will last about 4 days in the refrigerator in an airtight sealed container. We like to enjoy this casserole as dinner, then eat it for lunches the next couple of days. Reheat in the microwave for 90 seconds to 2 minutes depending on amount. 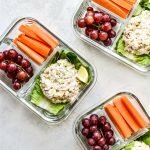 I’ve never tried freezing this dish, however I believe it would freeze well in an airtight container for up to 4 months. Thaw completely overnight before reheating in the microwave. The solution to needing quality, ethically raised bacon with no sugar or added preservatives is ButcherBox (affiliate link)! 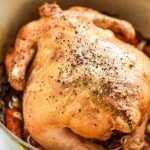 Over the past few months, we’ve transitioned to purchasing all of our meat from ButcherBox, and this includes the Whole30 approved bacon and chicken breast in this recipe. All the meat I purchase from ButcherBox is organic, free of hormones and antibiotics, ethically raised, and shipped directly to my door. I tend to change the add-ons of my box every month, but we always get a whole chicken, pork breakfast sausage, chicken thighs, some burgers, and quality sugar-free bacon. I’m obsessed and I don’t plan on switching anytime soon! Roast in the oven: Preheat oven to 400F. Cut squash in half lengthwise and place the halves upside down on a lined baking sheet. Cook 40-45 minutes until the skin is fork tender. Let the squash cool and then use a fork to remove all the flesh from the skin into a large mixing bowl. Reduce heat to 375F when the squash is done cooking. 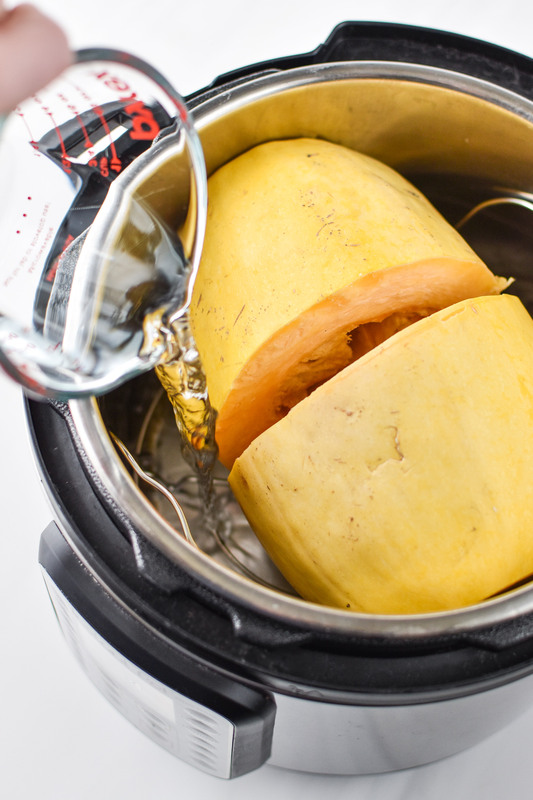 Steam in the Instant Pot: Cut your spaghetti squash in half widthwise, fit it into your Instant Pot on the trivet with one cup of water, and then select Steam on high pressure for 8 minutes with a Natural Pressure Release. Let the squash cool and then use a fork to remove all the flesh from the skin into a large mixing bowl. Place a Dutch oven or deep skillet over Medium heat. When hot, add bacon bits and cook for 8-10 minutes, stirring occasionally, until the bits are browned and crispy to your liking. Remove the bacon bits and place them in a paper towel lined bowl. Carefully remove all but 2 tablespoons of the bacon grease from the pan. 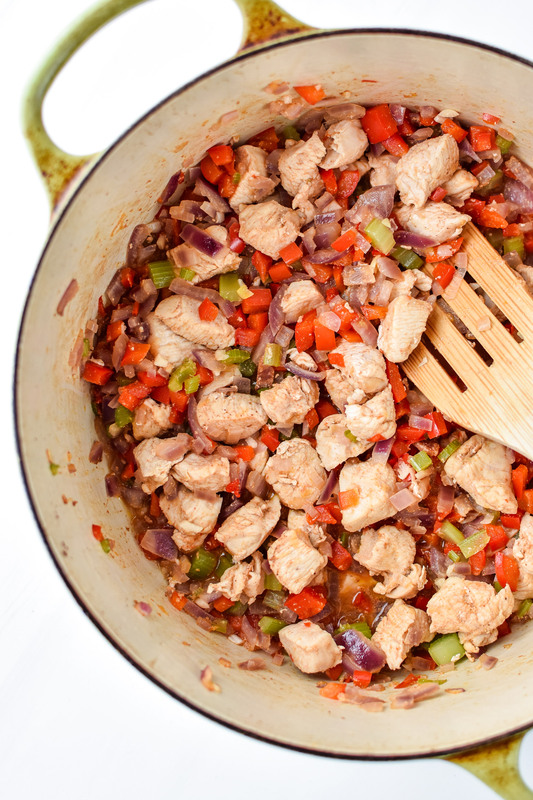 Over medium heat, add the bell pepper, onion, celery, garlic and chicken breast pieces to the pan with the bacon grease. Cook for 10-12 minutes or until the chicken is completely cooked through and all the vegetables are tender. Preheat oven to 375F. 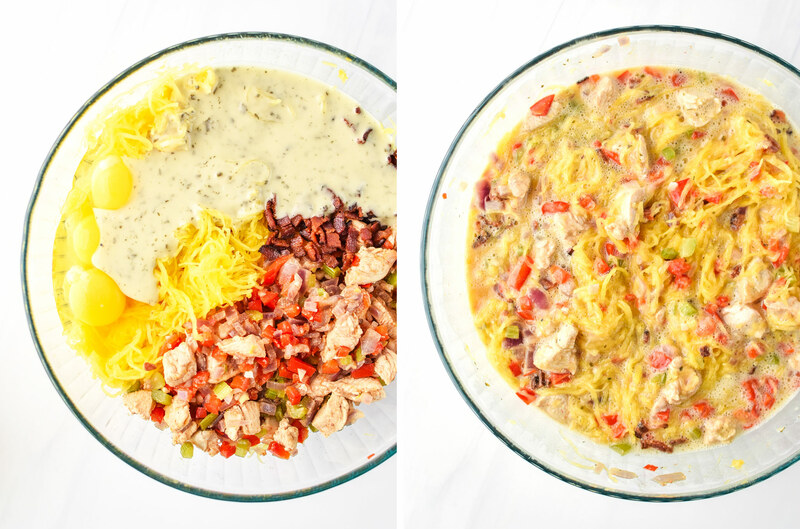 To the large mixing bowl with the cooked spaghetti squash strands, add the bacon bits (reserving a few for topping), the chicken and veggie mixture, Ranch dressing, eggs, and 1/4 teaspoon each salt & pepper. Stir until well mixed. Add the mixture to a greased 9×13 casserole dish (I used avocado spray oil to grease the pan). Flatten the mixture out into the casserole dish then sprinkle remaining bacon bits on top. Bake at 375F for 45-55 minutes, or until the top is golden brown. Broil for the final two minutes for a crisp top. Store leftovers in an airtight sealed container and enjoy within 4 days. Adapted from Buffalo Chicken Casserole by PaleOMG. Nutrition information estimated with My Fitness Pal. 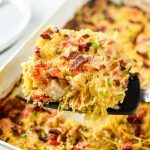 Even if you aren’t Whole30-ing, I still think you’ll enjoy this Whole30 Chicken Bacon Ranch Casserole! Tag me or use the hashtag #projectmealplan to show me your version of this casserole (Whole30 or not! ).